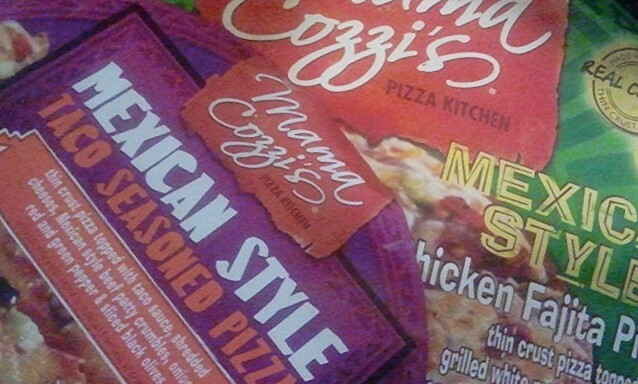 Among the many different varieties of frozen pizza available at ALDI under their Mama Cozzi's brand are two Mexican-inspired versions that you might want to check out. Tuesdays are often Taco Tuesday in my house; we make up a pan of seasoned ground beef, and then we all build our own tacos using a variety of ingredients and toppings. We have a great time, and eat great tacos. But sometimes, for a change of pace, we throw a couple of Mama Cozzi's Mexican Style frozen pizzas in the oven instead. It takes about the same amount of time to prepare, and it's almost as much fun. 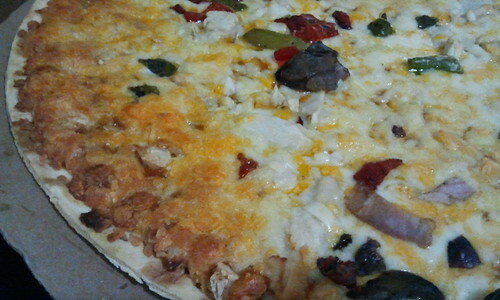 The Chicken Fajita pizza (shown in the picture at left as slightly overbrowned on the edge, oops) is pretty good. Thin, crispy crust topped with taco sauce, roasted chicken strips, red, green, and yellow peppers, shredded cheeses, and red onion. Tasty. Not perfectly like a chicken fajita, mind you, but Mexican-styled enough in its own way that we enjoy it. 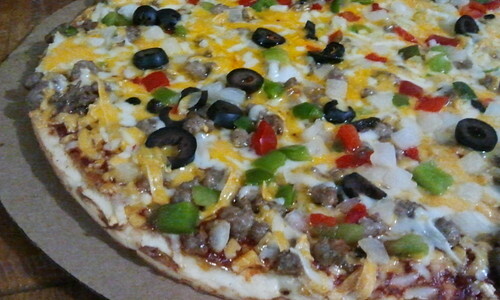 The Taco Seasoned Pizza is very authentic, with seasoned ground beef, shredded cheeses, green and red peppers, sliced black olives, and chopped onion on a taco-sauced thin crust. It's delicious, and it keeps the "taco" in "Taco Tuesday." Both of these are available on a rotating basis at your local ALDI store. Regular ALDI shoppers know that products there come and go, but usually return. 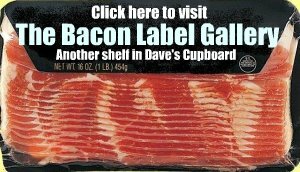 If your local ALDI doesn't have them, ask the store manager when they're supposed to come back. Johnny's Roadside Market Garden Is Open!